Bowhead whales, which live in the Arctic that can live more than 200 years, and could be crowned as the longest lifespan mammals in the world. Genome, or the chromosomes in each of the cell nucleus, belonging to these big animal may hold the longevity secret, according to a new study that describes the complete structure of genes. Bowhead whales are the biggest, strongest and live year-round in the Arctic. They use their big head to penetrate the ice sheet, in order to breathe. However, why this whale can live so long? This question is tried to be answered by Joao Pedro Magalhaes, a scientist from the University of Liverpool. "I am interested to learn how long the various species can live. For example, why is the process of human aging more slowly than other primates. Why mouse's aging process faster than a human or a whale? And why bowhead whales live longer than human, and apparently protected of the diseases caused by age such as cancer? "he said. It continues to be a mystery, he says, but by examining the whale's genome, scientists look for patterns and comparing whale bowhead whale with other similar but shorter-lived, such as Minke whales. "We are particularly looking for genes that have a distinctive mutation contained on bowhead whales. We are looking for genes in duplication, which is lots of bowhead whales, but not on a similar species. The result is very interesting," he said. In the Cell Reports journal, Magalhaes and colleagues explain various changes in bowhead whales gene that associated with cell division, DNA repair, cancer and aging. Magalhaes said any long-lived species using different tricks with other species. He wanted to find a natural mechanism that triggers this process. 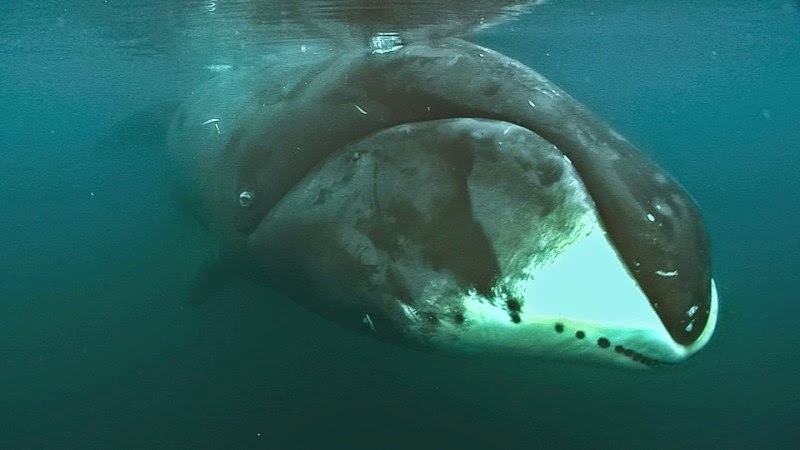 "If I could find the tricks that exist on the bowhead whale is, and what makes them live longer and are protected against diseases, we could try it in humans, possibly with the use of drugs or chemicals that are directed to the specific genes. Can also use gene therapy. Many possibilities will emerge," he said. Magalhaes said, the next step is to breed the mice that their genes are mixed with bowhead whales genes, to see the impact on the age and age-related mutations.